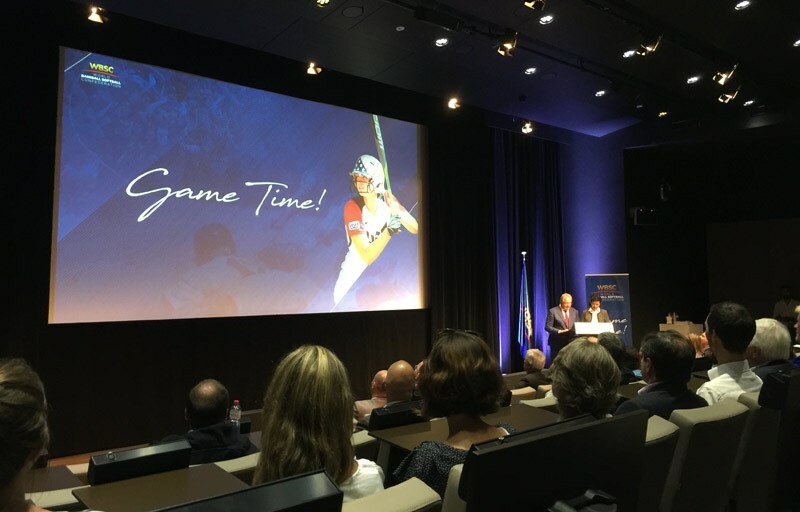 （Published Jul 14, 2017 in　Olympic Sports Bids） Reporting from Lausanne, Switzerland – The World Baseball Softball Confederation (WBSC) Thursday unveiled it’s new brand slogan ‘Game Time’ during the critical run-up period to the sport’s reappearance at the Olympic Games in Tokyo 2020. Having been dropped from the Olympic program after the Beijing 2008 Games, Baseball and Softball combined forces with a new confederation and took advantage of a new International Olympic Committee (IOC) rule that allows organizing committees to propose optional, regionally popular sports to their Games program. Baseball and Softball became one of five additional sports added by the Tokyo 2020 organizing committee. However the WBSC will need to campaign again if they want to be added to future Games. “For us I think it’s something great because both of the cities are important to us,” Fraccari said. “Paris is a growth market and Los Angeles is a place where baseball is as strong as possible. For us it’s positive to have these two.”　Fraccari said that he’s already launched discussions with the two cities and he believed them to be very receptive. Paris lacks the facilities or public interest in the sport, however WBSC officials say the event could be held outside of France under the IOC’s Agenda 2020 rules that allow for the exceptional extra-national venues. The WBSC says that the current estimated worldwide community of baseball/softball athletes and fans is approximately 200 million.